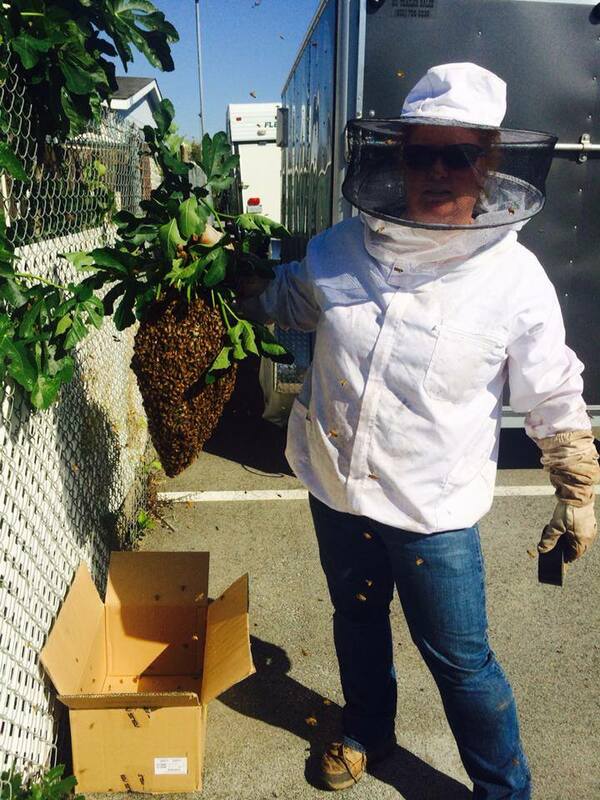 The Honey Ladies in San Jose sells bee removal equipment for safe live bee removals. We sell this equipment so you can do a removal of bee hives in trees, branches, bushes, roofs, walls, chimneys, floors, and other hard to reach places…not to mention inside valve boxes. Bee removal equipment is not easy to use and we advise a brief training on the steps in properly using the bee removal equipment you get from The Honey Ladies.The Honey Ladies offers a ONE YEAR GUARANTEE. If any of the equipment malfunctions or doesn’t work, we will accept a return at Zero cost to you. Removal of bee hives in trees is not an easy task. You need to make sure that you follow certain steps to not disrupt the special function going on within the hive. For instance, one family tried to remove a hive from a tree thinking you just take it all down and then bam… all done. Not the case. The queen plays a very important role in properly removing the hive. Do you know what that is? If not, then you need to call us before you purchase your bee removal equipment so you dont get a bunch of mad bees stinking everything in sight. Call today at 408-531-5045. The Honey Ladies have Emergency Same Day Services available 24 hours a day, 365 days a year. We understand every minute counts when it comes to the safety of your family, pets, employees or tenants or the possibility of a life threatening allergic reaction! We specialize in safe, live bee removal without the use of dangerous chemicals. This process requires a skilled professional trained in the handling of bees, their Queen Bee, and the honeycombs so only minimal damage is done to the bees, the hive and the handler. And, unlike other companies, we do not charge extra for live bee removal. We also specialize in organic or green beehive removals. We provide the services you need immediately.